Summit T416 Analyzer The Summit T416 is Teledyne LeCroy's latest generation of protocol analyzers targeted at high speed PCI Express 4.0 I/O-based applications such as workstation, desktop, graphics, storage, and network card applications. Summit T24 Analyzer The Teledyne LeCroy Summit T24 PCI Express analyzer is for customers developing PCIe 1.0 or 2.0 x4 lane width server, workstation, desktop, graphics, storage, and network card applications. Summit Z3-16 Exerciser with SMBus Support The Summit Z3-16 with SMBus Support is a critical test and verification tool intended to assist engineers in developing and improving the reliability of their systems. The exerciser can emulate PCI Express root complexes or device endpoints, allowing new designs to be tested against corner case issues. In addition, it can emulate SMBus traffic as a master or slave. BitTracer The BitTracer Logic Display is a software option that runs on the Teledyne LeCroy Summit PCI Express Protocol Analyzers. 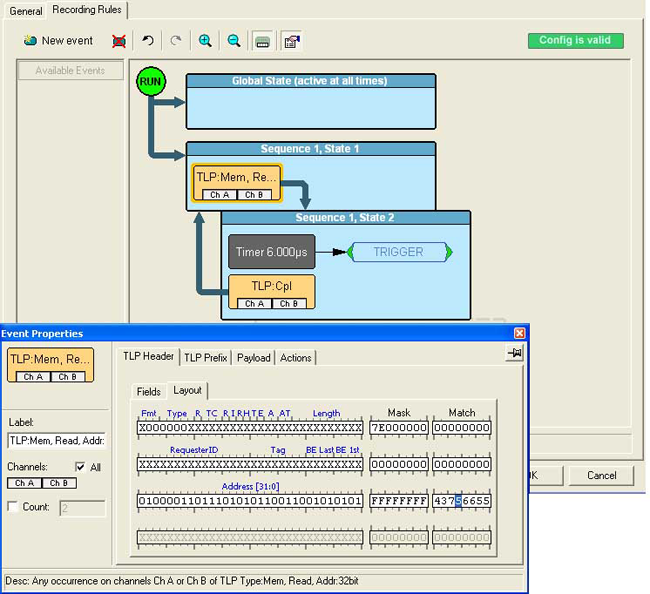 BitTracer offers developers a physical layer view of PCI Express traffic, similar to what might be displayed on a logic analyzer, but provides this capability on a protocol analyzer. This means that developers can view bit stream traffic before it is decoded to high-level packets, to better understand where signal integrity issues may be causing data corruption. PCIe Compliance Testing Teledyne LeCroy offers an integrated and automated compliance testing system, including the Protocol Test Card Platform, approved by the PCI-SIG as a standard tool for compliance testing for developers working with the PCIe 3.0 specification. NVMe Testing The NVMe tests are designed to determine if a product conforms to specifications defined in the NVM Express . Successful completion of these tests provide a reasonable level of confidence that the Device Under Test (DUT) will function properly in a NVM Express environment. PCI Express Test Platform with SMBus Support The Summit Z3-16 Test Platform with SMBus Support allows the Summit Z3-16 to act as a host emulator, and provides a general purpose test backplane and interposer for testing Gen3, Gen2 or Gen1 hosts and devices. In addition, it supports the Summit Z3-16 with SMBus Support by providing SMBus tapping connectivity. PXP-100B Test Platform The Teledyne LeCroy PXP-100B Test Platform provides a convenient means for testing PCIe 2.0 add-in cards with a self-contained portable and powered passive backplane. The PXP-100B provides power required for both cards under test, and an interposer can be used for connection to a protocol analyzer. Summit T48 Analyzer The Summit T48 protocol Analyzer is Teledyne LeCroy's latest generation of protocol analyzers targeted at high speed PCI Express 4.0 I/O-based applications such as workstation, desktop, graphics, storage, and network card applications. The Teledyne LeCroy Summit T34 PCI Express protocol analyzer is designed for PCIe storage, add-in card and embedded application developers. It supports x1 to x4 lane widths with the capability of expanding to x8 with two boxes connected together, and deep buffer memory that is expandable from 4GB to 64GB ideal for storage analysis, the Summit T34 provides unmatched capability and flexibility for developers and users of advanced PCI Express products. Teledyne LeCroy has been the leader in NVM Express and SATA Express protocol analysis since 2010. This storage analyzer incorporates all of these powerful legacy features and adds the latest in storage queuing performance analysis. The Summit T34's small dimensions (209 x 40 x302 mm) and at a light weight of 3 lbs it is clearly the most portable compact PCI Express protocol analyzer in the market today. The Summit T34 supports PCI Express 3.0 Specification at data rates from 2.5 to 8 GT/s. With a flexible memory buffer that is expandable from 4GB to 64GB (expanded using a second unit), the Summit T34 provides a deep trace memory capture for developers debugging challenging storage issues. As with other Teledyne LeCroy PCI Express analyzers, the Summit T34 leverages the intuitive and powerful CATC Trace analysis software system, embedding a deep understanding of the PCI Express protocol hierarchy and intricacies. The colorful, intuitive and easy to use graphical display allows you to quickly capture and validate PCI Express product designs. The application display is highly configurable and can be modified to fit most users debugging styles. A customizable multi-state trigger makes it easy to discover protocol issues on the bus. Features such as multiple local/global timers and counters allow the user advanced control to create sophisticated trigger sequences. The portable Summit T34 protocol analyzer is designed to support multiple PCIe storage protocols such as SATA Express, NVMe and SCSI Express. 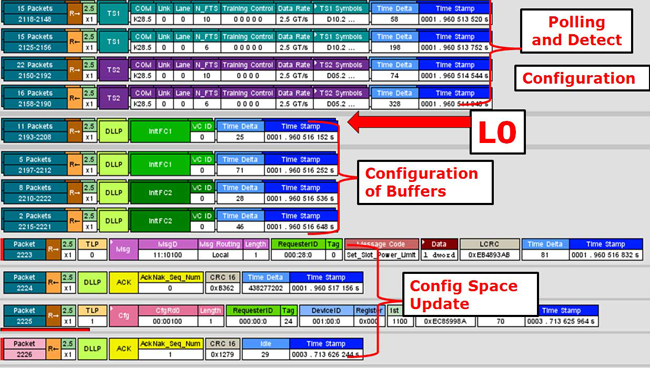 The new storage related capabilities and new protocol analysis views optimized for PCIe storage development are currently supported across the product line and make these tools valuable to understanding data transmission from the PCI Express protocol layer up to the command layer. In addition to a full suite of advanced hardware and software features, the Summit T34 provides user-convenience and analysis features, such as support for "lane swizzling" which allows a board developer to lay out a Mid-Bus probe pad with lanes in non-standard order, simplifying the design of the board. Internally the Summit T34 maps the lanes back into their correct order and accurately displays the embedded bus traffic. 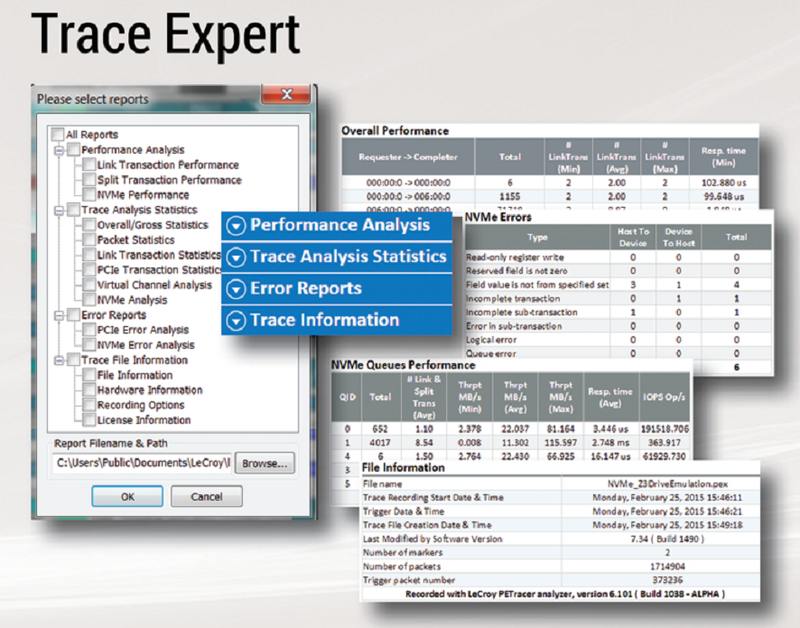 Other software features include enhanced error checking for automatic identification of additional error types, more compact trace files that allow for faster analysis of trace data, and the choice of simplified or advanced modes for setting up trace recording options. 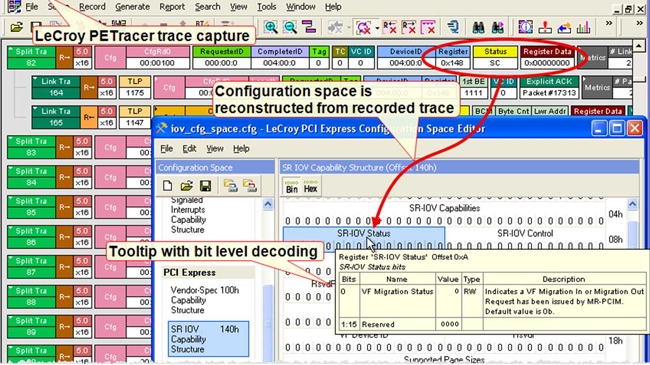 A new raw recording mode, Bit Tracer, allows bytes to be recorded as they come across the link, allowing debugging of PHY layer problems and combining the features of a logic analyzer format with a protocol analyzer format. 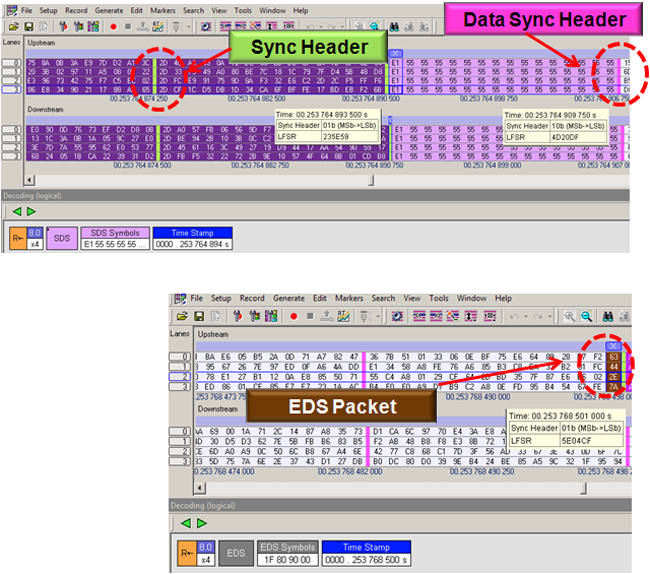 The new auto sense link feature monitors negotiation between devices of different lane widths, and the bifurcated link support recombines multilink PCI Express operations that have been separated into narrower links. The Summit T34 also supports Ethernet LAN port as a standard feature. By connecting over a LAN, engineers can operate the system remotely (e.g., install the client software on their desktop systems, and control an analyzer operating in a remote lab). Also, multiple engineers working collaboratively can time-share use of a single analyzer, reducing the need for an additional analyzer for each engineer, and increasing the cost effectiveness of the product. The Summit T34 is available in two configurations—that support either x1, x2, and x4,; or x1, x2, x4, and x8, if combined with a second Summit T34—to match user requirements with available budgets. The upward compatibility and 13 month warranty of the Summit T34 also provide investment protection for current Gen2 users who plan to upgrade to Gen3 devices in the future. All Teledyne LeCroy PCI Express protocol analyzers employ high-impedance, non-intrusive probing technology, thereby allowing fully unaltered data pass-through. By leveraging years of experience in protocol analysis tools for emerging markets, Teledyne LeCroy's PCI Express protocol analyzers blend sophisticated functionality with practical features to speed the development of PCI Express IP cores, semiconductors, graphics, servers, workstations, bridges, and switches. 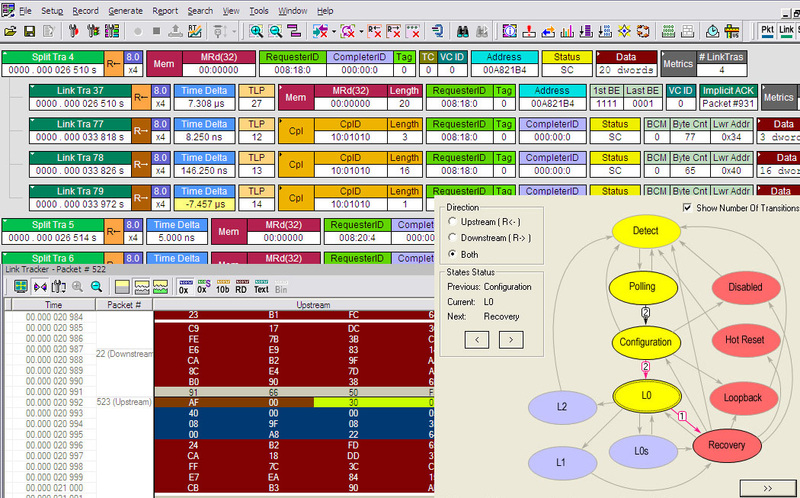 Powerful & Intuitive CATC Trace - Faster interpretation and debug of PCI Express traffic. 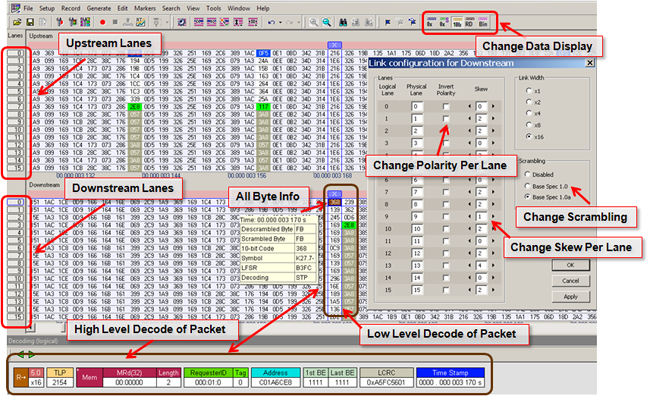 Expert Software Extensive Decoding - Understand the protocol completely with accurate and reliable decoding of TLPs (Transaction Layer Packets) and DLLPs (Data Link Layer Packets) and all Primitives for PCI Express. 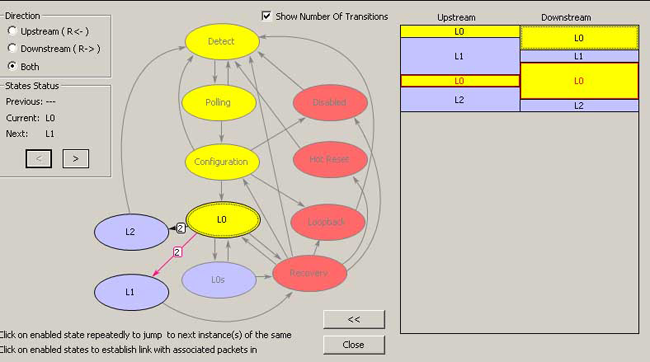 LTSSM Flow Graph - Look at the trace from the LTSSM State machine perspective to understand how the link is behaving. Quickly see if states are getting stuck or if the link is going up or down. 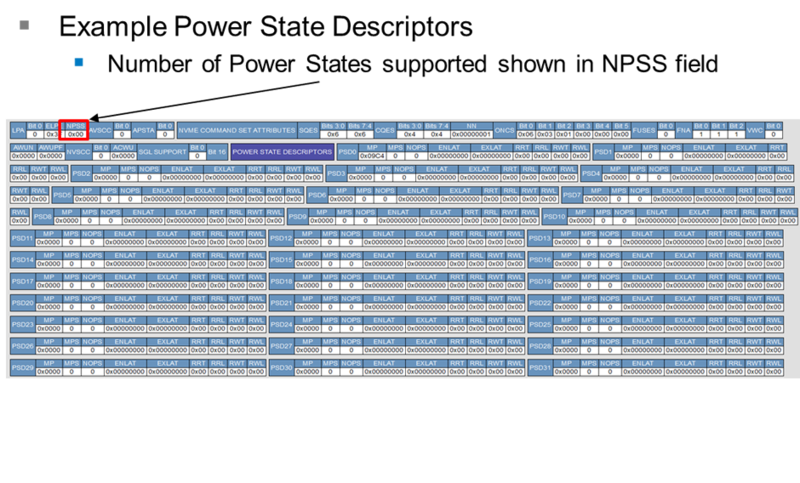 Navigate the trace using the state bubbles that are hyper linked to the trace. 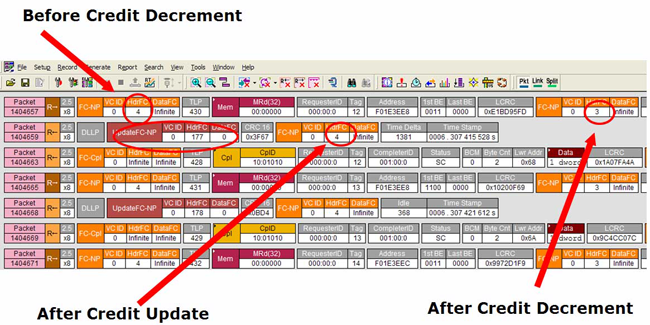 Compact Trace View - Compact the trace to get a better overall understanding of what is happening in the entire trace. Advanced Triggering/Filtering - Find Errors fast by isolating important traffic, specific errors or data patterns. 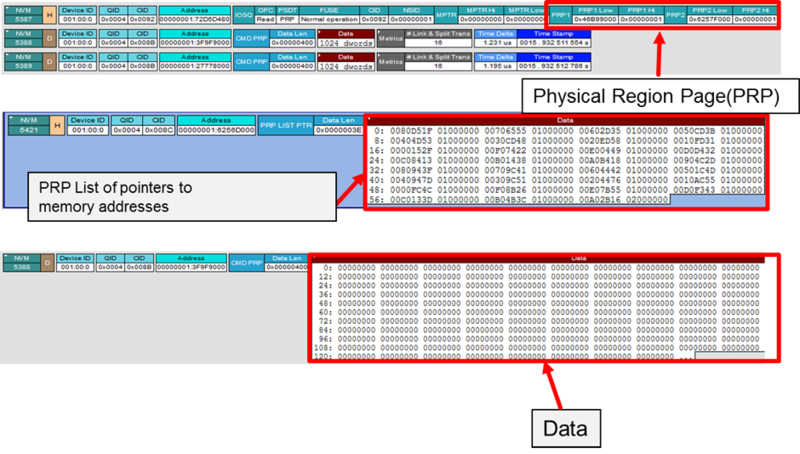 Understand transactions more clearly by removing non-essential fields from the trace. 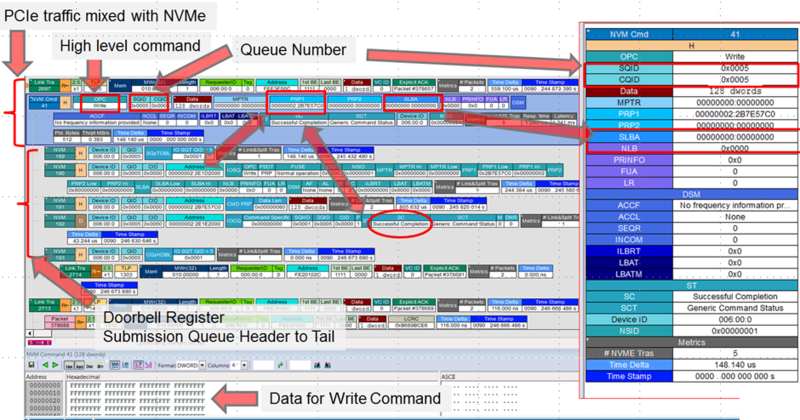 Flow Control View - Check on credit behavior between Root complex and endpoint transactions. See the credit decrement and credit updates in the trace with clarity. Intelligent Reporting - Quickly identify and track error rates, abnormal link or timing conditions, display configuration space, and protocol specification details. 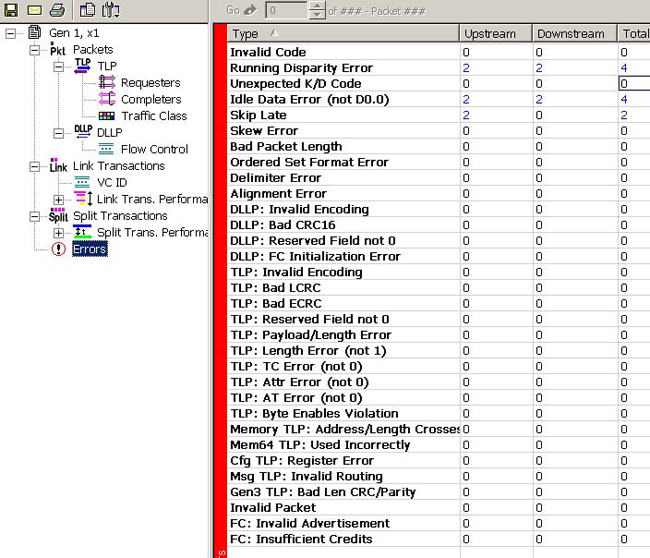 One Button Error Report - View the entire trace for PCI Express Errors. Navigate to each error by clicking on the error indicated. 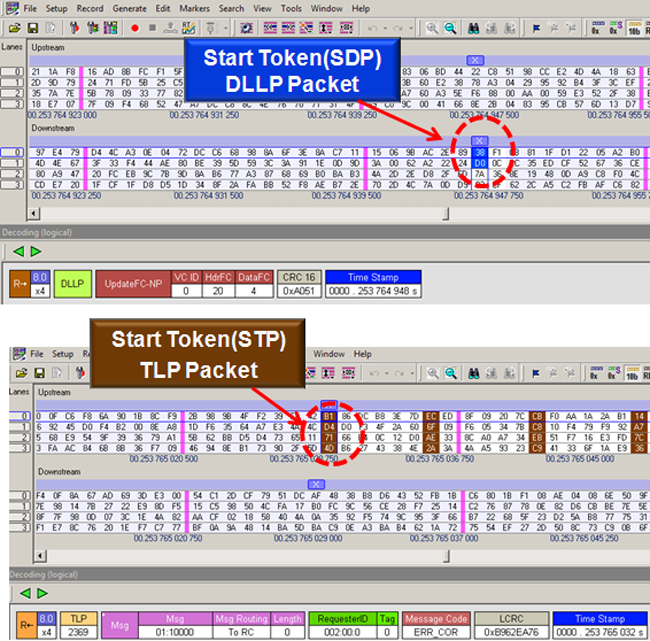 Dword to Transaction Level Viewer - See and understand Symbol, Packet, Link and Split Transaction levels of the PCI Express protocol. 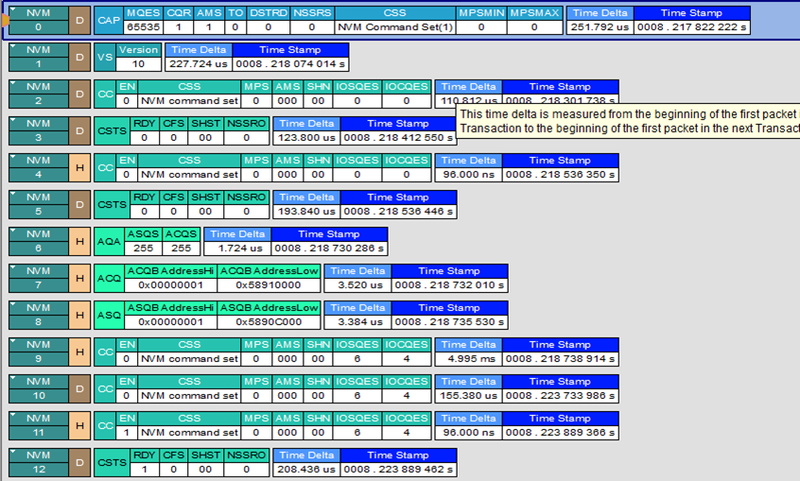 Monitoring and Link Utilization - Troubleshoot throughput, link utilization, and bandwidth issues. BitTracer Software Option - Records the bytes as they come across the link. 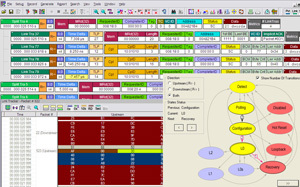 Allows debugging of PHY layer problems. Gives protocol analyzer the best of both worlds; a logic analyzer format and decoded protocol analyzer format. 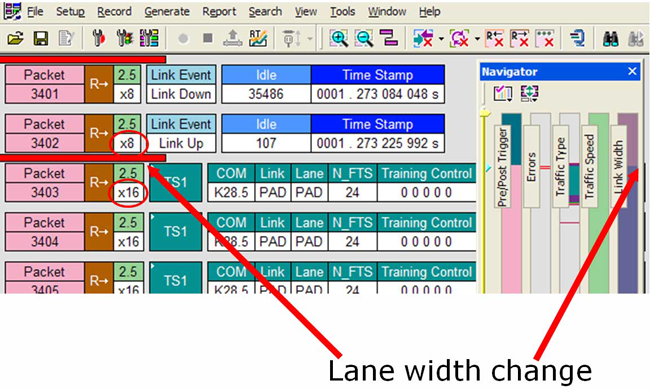 Auto Sense Link - Analyzes all traffic negotiation between two devices of different lane widths. 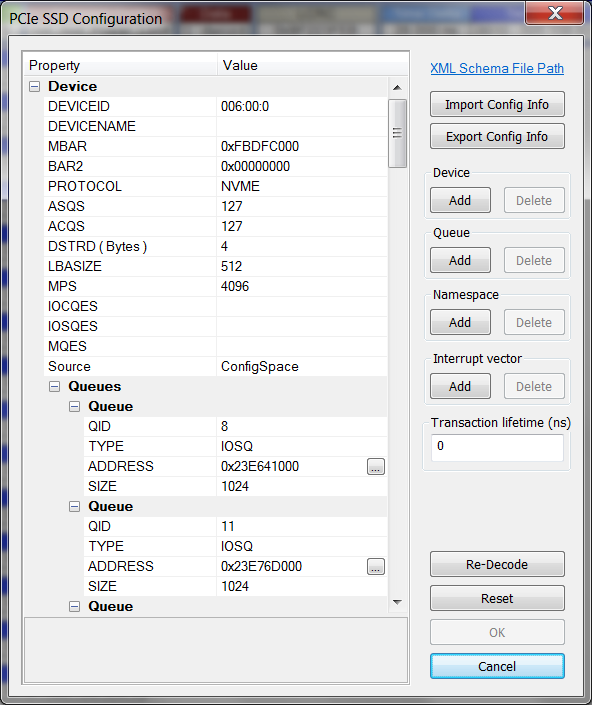 SRIOV Decode Support - Analyze Single Root IO Virtualization enabled devices. 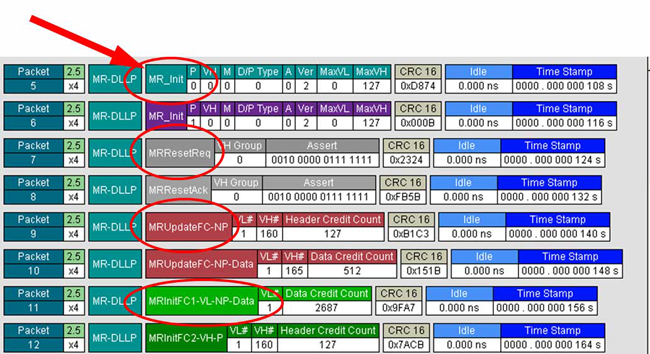 MRIOV Decode Support - Analyze Multi Root IO Virtualization enabled devices. Lane Swizzling - Accommodates specialized or unique board layouts for MidBus connections. Deep Buffer Recording Capacity - Capture long recording sessions for analysis and problem solving up to 8 GB (4 GB in each direction). CRC Checking - Know that info being displayed is accurate. High-speed Interface Ports - No complicated setup required, with 1 Gb/s Ethernet and USB 2.0 ports available. Downloadable Trace Viewer - Share and annotate trace recordings within a development team. 13 Month Warranty - Protect your investment.